A fear of the dentist is one of the most common fears that people suffer from. In fact, up to 24% of people have a dentist phobia. And while it might seem innocent at first, this fear can actually lead to dental decay and disease because a person is not seeking out the care that they need to keep their mouth healthy. If you suffer from a fear of the dentist, it’s important that you find a solution to dealing with your anxiety. It will only serve to keep you feeling good about yourself both physically and mentally and will help prevent diseases like periodontitis. Sedation can also be accomplished through oral medications. Often a relative of vicodin called Halcion will be prescribed to a patient and taken an hour prior to the procedure. This causes a patient to feel relaxed, although higher doses might make a patient fall asleep, but awake if shaken. When a person is given oral sedation they cannot drive home and must have a friend or family member take them to the office. For patients who suffer from such extreme anxiety that these forms of anesthesia won’t work, general anesthesia might be the better option. This completely knocks a person out and works in such a way that when they wake up they will have no recollection of what they just went through. 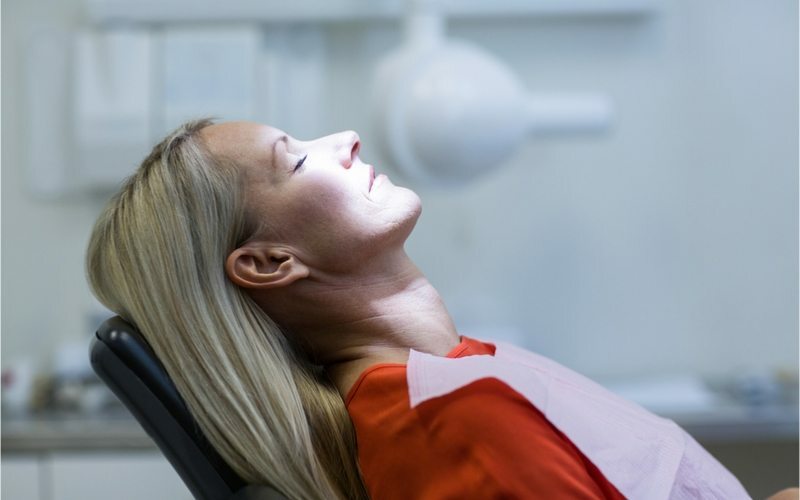 A combination of mild sedation and other relaxation techniques can help ease anxiety. Here’s a few more options. Bring your phone and headphones preloaded with a playlist of your favorite songs. This not only helps to relax patients, it also drowns out the noises of the tools being used, which can trigger a person’s anxiety. Sometimes not knowing what to expect can be worse than the procedure itself. Ask the dentist to walk you through the procedure that is performed and to give a clear explanation of what the procedure will do. This helps people avoid coming up with their own explanation of what is happening and can great reduce anxiety. Sometimes being stuck during a treatment makes people feel like they’re trapped. By asking for a treatment schedule you can rest assured that breaks will be scheduled during the procedure and you won’t have to sit still through the entire procedure. Previous Post: What is cosmetic dentistry?